Amelia Scull Osborne, age 88, died on November 19, 2018 at her home in Pepper Pike, Ohio after a long illness. Known to all as Mimi, she and her younger sister Rebecca grew up the doctor’s daughters in Depression-era Dover, Delaware, where Dr. Scull’s fee for service sometimes took the form of a basket of food left on the back porch. After graduating from Miss Hall’s School in Pittsfield, Massachusetts, she attended Wheaton College in Norton, Massachusetts, where she studied art history, a passion for which she retained all her life. It was at Wheaton that, on a blind date, she met Bill Osborne of Cleveland. 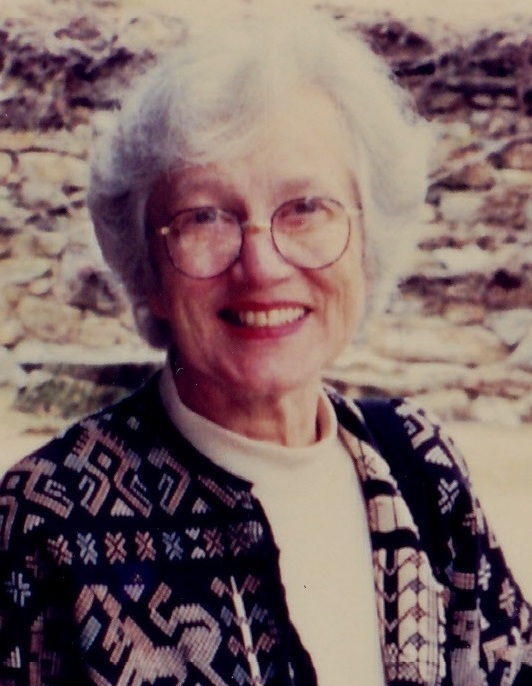 After graduating, and a year in Boston’s North End working at the Settlement House she and Bill married in October 1953 and ultimately moved back to Cleveland, where Bill worked for the family coal business and Mimi focused on raising their three boys, William, Silas and Samuel, and on volunteering for organizations such as the Botanical Society, the Cleveland Museum of Art and the Cleveland Food Bank. Curious, smart, funny, a great cook and a loyal friend, Mimi loved learning and teaching every craft she ever tried, from decoupage to knitting, needlepoint to ikebana. She was a wizard in all forms of flower arranging. A consummate hostess, Mimi loved entertaining in her home on Pepper Ridge, serving the bounty of Bill’s garden to a wide circle of dear friends. She loved travel, and organized progressively more elaborate trips, first for her family and then for large groups of friends to places like Europe, the American West, South America, and her favorite, Japan, visiting temples, museums and the studios of artists and artisans. Her travels were slowed only by the early onset of Alzheimer’s disease, which she battled for close to twenty years. The first person Bill hired to help him care for Mimi, Surina Stokes, has been with her ever since, an ever-vigilant angel keeping her safe, especially after Bill’s death in 2016. Predeceased by her sister and her husband, Mimi is survived by her sons, William (Karen), Silas, and Samuel (Michele), by grandchildren (Amelia, Mac, Charles, Jesse, Lily, Peter and Carl), and by a raft of adored nieces and nephews. In addition to Surina, the family thanks Ivory Stokes, Betty Wilson, Sarah Sutherlin, and the many other caregivers and nurses who treated Mimi with dignity and love, and allowed her to live out her days in the home she loved. A celebration of Mimi’s life will be held at a later date. In lieu of flowers, the family suggests contributions in her name to the Holden Arboretum, 9550 Sperry Rd., Kirtland, OH 44094 or the Greater Cleveland Food Bank, 15500 S. Waterloo Rd., Cleveland, OH 44110.